Can America’s roads, bridges and other systems be fixed? The nation’s infrastructure is aging rapidly. Highways and bridges, particularly in older urban areas, are badly in need of repair, leading to safety concerns and traffic delays. Congress passed a $305 billion transportation package in December, but that is considered only enough to maintain the status quo. President Obama has proposed raising federal taxes on oil, but the idea lacks any Republican support. Most of this year’s presidential candidates have said they want to spend more on infrastructure, but few have specified how they would pay for their plans. States, which together spend more on infrastructure than the federal government, are resorting to creative budgeting to fill funding gaps. 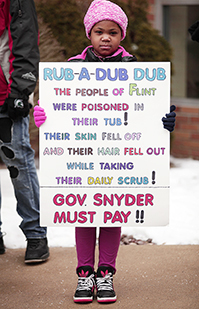 Meanwhile, the lead-poisoning crisis in the Flint, Mich., water system has drawn attention to funding shortfalls for drinking-water infrastructure. In response, the legislature this year considered raising the gas tax by 1.5 cents per gallon. That amount had the support of Democratic Gov. Jay Nixon, as well as traditional anti-tax groups such as the Missouri Club for Growth. Nevertheless, the proposal ran into opposition from Republicans worried about angering voters in an election year. House Speaker Todd Richardson contended the state should pay for its roads without raising taxes, perhaps by freeing up money devoted to health care programs or diverting funds from cigarette or sales taxes.